"Chinese box office numbers for February edge out US numbers for the same period in an unprecedented event"
The box office numbers for February are in, and for the first time, China is ahead of the United States. 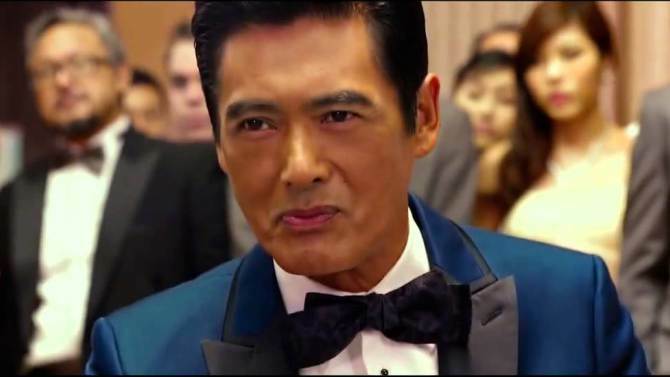 Chinese New Year celebrations and the stunning performance of Chow Yun-Fat vehicle, Man From Macau 2 (From Vegas to Macau II), brought Chinese cinema goers out in force to the tune of $650 million in box office revenue. For the same period, the US posted a "mere" $640 million ($710m North American Revenue minus $70m from Canada), owing to a typically-stagnant February, and lackluster releases. The Chinese public have been pouring into theaters for CGI-enhanced actioners like Jackie Chan's Dragon Blade, starring John Cusack and Adrien Brody ($95 million), and Jean-Jacques Annaud's Wolf Totem ($72 million). Although China has relatively few screens compared to the US, 23,500 compared to just under 40,000, they have proven themselves as an enormous movie market. In 2014, Transformers: Age of Extinction's Chinese box office intake surpassed US profit for the film, a dramatic shift that certainly raised eyebrows in Hollywood. In effect, the ability to more-than-double their profits, means that production companies and studios will begin tailoring films to international release, and will begin to seriously consider the Chinese market when green-lighting big-budget action films.